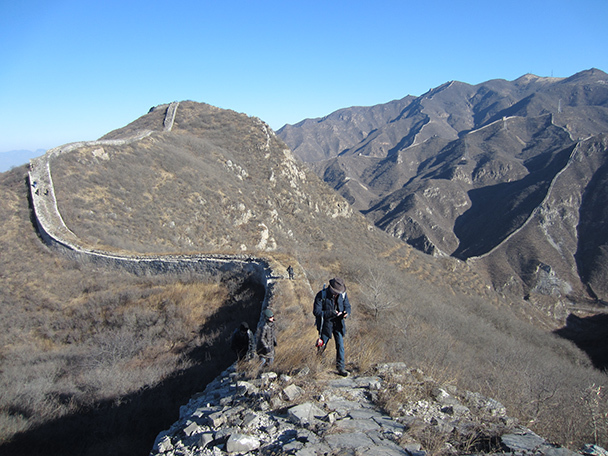 In Brief: Photos from our hike on a wild section of the Great Wall near a place called Stone Valley. 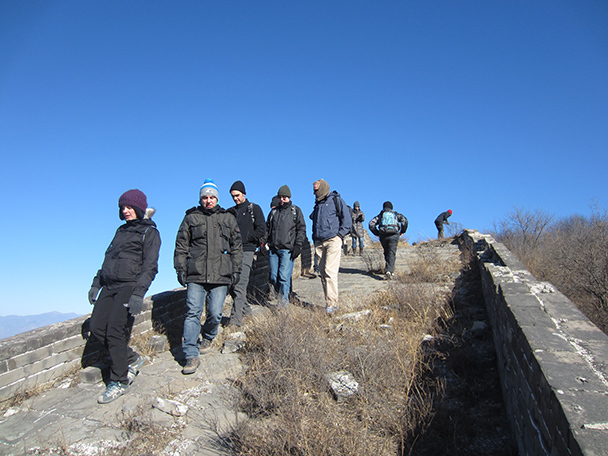 During the winter of 2013 we went out looking for new hiking trails. 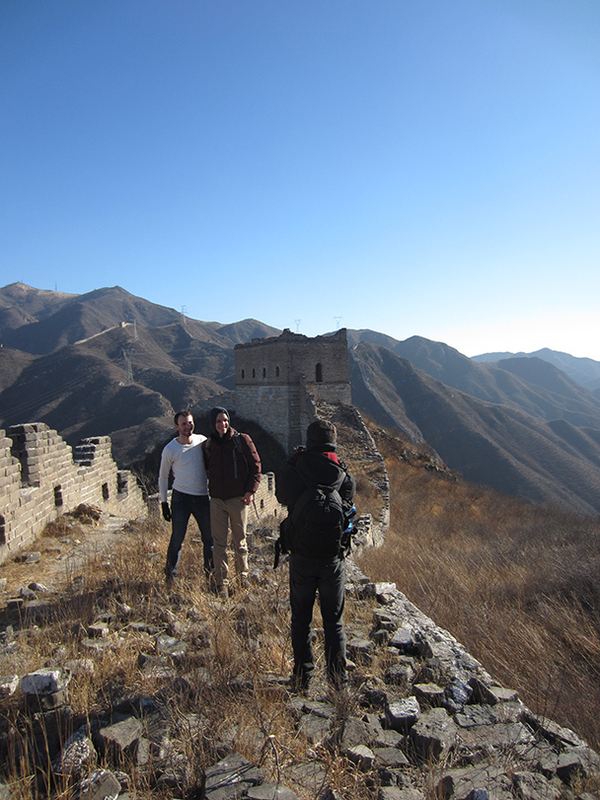 Here are some photos from our first ever outing to the Stone Valley Great Wall. 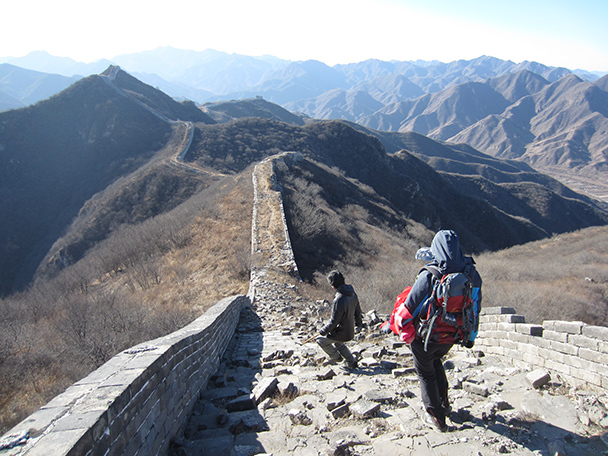 We had clear weather for our hike, which allowed sweeping views of some of the other areas nearby where we hike, such as the Switchback Great Wall. 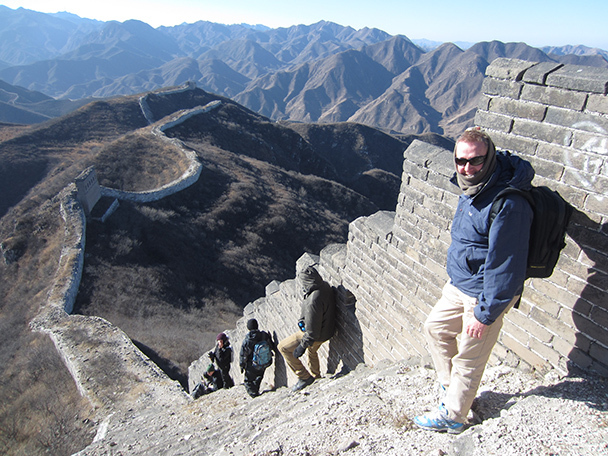 It was interesting to see these sections of the wall from a totally different perspective. 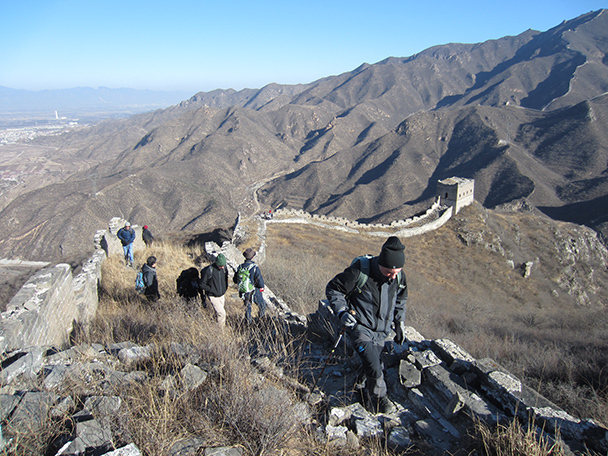 The hike is not too long, but it is steep in places. 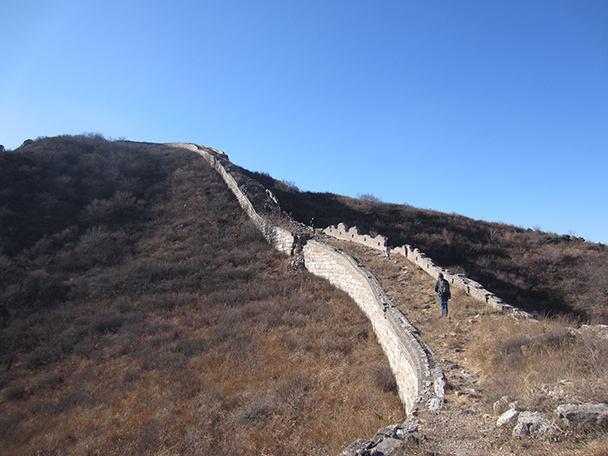 The wall here hasn’t been touched since the Ming Dynasty, which means some of it is not in such good shape. 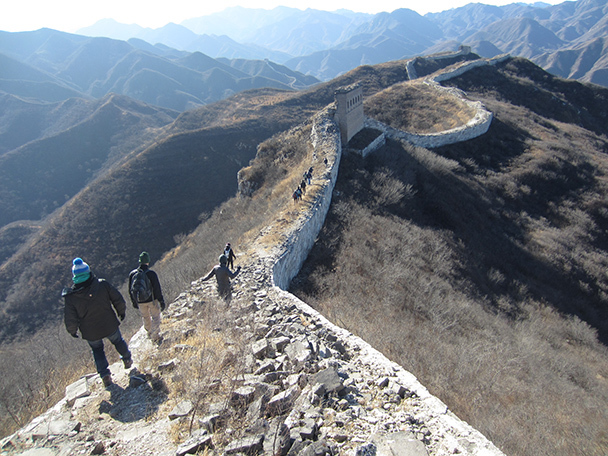 The steepness and the loose footing makes this a fairly tricky walk! 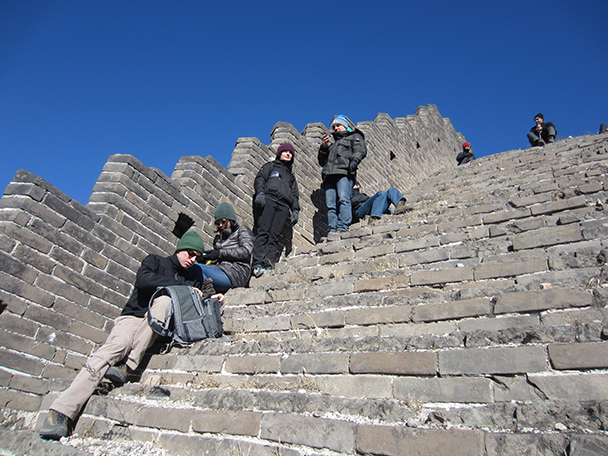 We stopped to take a break after the long, steep hike up to the Great Wall. One of the better preserved watch towers on the ridge. A good spot for a photo. As we hiked higher, the views got even better! With not a lot of foliage on these hills, we could see clearly where we’d be headed. 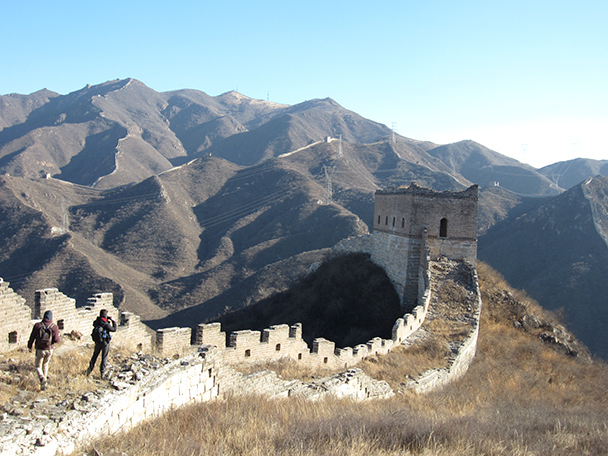 An interesting tower ahead – just one wall left! On this stretch the wall is down to just the foundations. 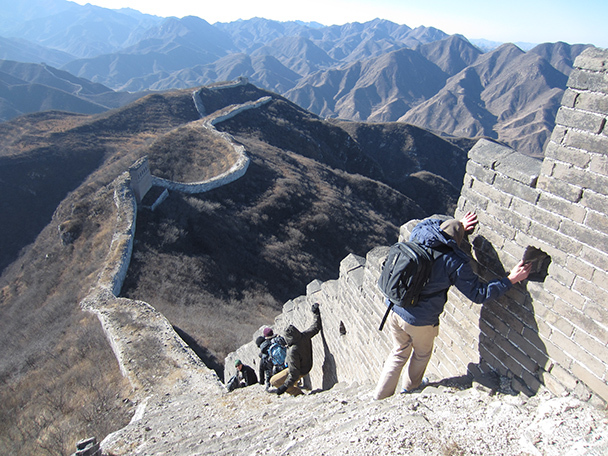 This part of the wall was in decent condition for walking on. 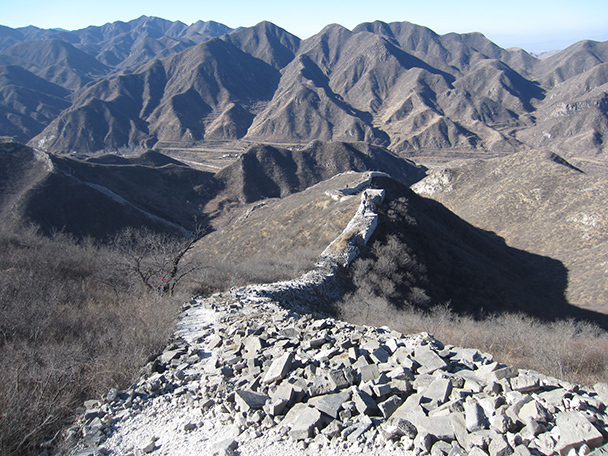 The Great Wall runs along many of the ridgelines in this area. Ready to head down a steep section. We took it slowly and carefully! We picked sunny and sheltered spot to take a rest. 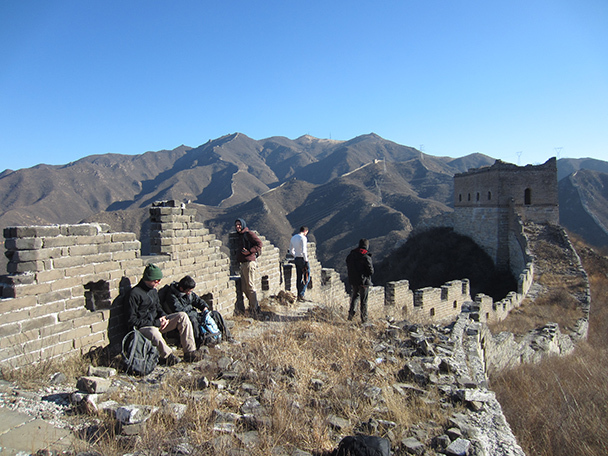 The Great Wall continues towards the mountains in the background. In Brief: Photos from our 2013 trip to the Hulunbuir Grasslands in Inner Mongolia.